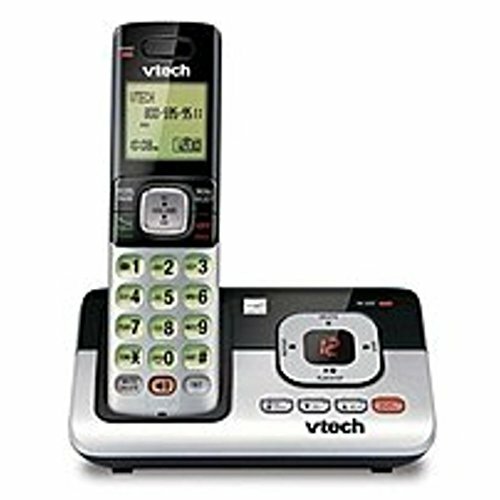 VTech CS6829 Expandable Cordless Answering System with Caller ID - DECT 6.0 - Backlit Display **Please note that the 1-pack does not come with a Wall-mount. Digital Answering System - With up to 14 minutes of recording time, the digital answering system grabs calls when you can't. Caller ID/call waiting - stores 50 calls - Know who's calling with caller ID/call waiting. Handset displays the name, number, time and date of incoming calls. Full duplex handset speakerphone - Enjoy a speakerphone that can keep up with your calls. Increase participation by allowing both ends to speak-and be heard-at the same time for conversations that are more true to life. Backlit keypad and display - The entire keypad illuminates along with the LCD screen, allowing for easier viewing in dim light.